THEY STILL HAVEN'T SIGNED ME? I WILL BE TALKING TO MY LAWYER AGAIN! 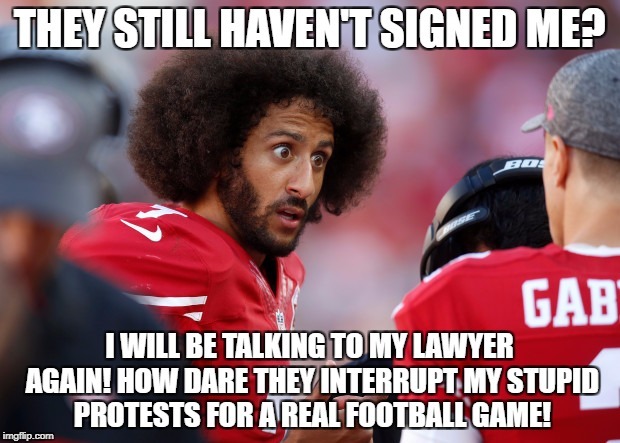 HOW DARE THEY INTERRUPT MY STUPID PROTESTS FOR A REAL FOOTBALL GAME!